“Former Park Warden Rob Kaye relives his extensive commitment to and knowledge of Jasper National Park in his autobiography Born to the Wild – Journals of a National Park Warden in the Canadian Rockies. Read it, and you’ll be exposed to wildlife encounters and challenging backcountry travel in the comfort of your home, but the frank realizations of future threats to Canada’s parks remain real.” — Alberta Wilderness Association. “Veteran warden Rob Kaye has become a bestselling author with Born to the Wild. One wonders how a park warden can be included in BC Bestsellers List since August. But as soon as one opens Kaye’s book it becomes apparent…he tells it like it is.” — BC Bookworld. “This book is pure gold. Kaye’s adventures are exciting, fascinating and even frightening….very engaging and quite captivating. Not only does he do a masterful job of describing his natural surroundings, but he tells the stories of his and his friends’ and predecessors’ backcountry adventures in an easy, entertaining and nearly flawless manner….This is one of those few books that I highly recommend you add to your own library.” — International Game Warden. “After reading this book, I was so jealous of Rob’s many years of adventures and encounters in such a gorgeous part of the world!…Rob brings that amazing period of Rocky Mountain history to life, and in exquisite detail—the adventure, the danger, and the beauty of the…wilderness.” — Nature Alberta. “A gifted writer, Kaye describes backcountry wildlife encounters, tales of adversity and accounts of survival….If you have ever known or longed for the wilderness, you must read this beautifully illustrated Born to the Wild.” — BC Nature. “Thanks for this book, Rob! Your tales of childhood adventures made me laugh, your encounters with wildlife were magical, and your love of nature and of Jasper National Park is obvious. 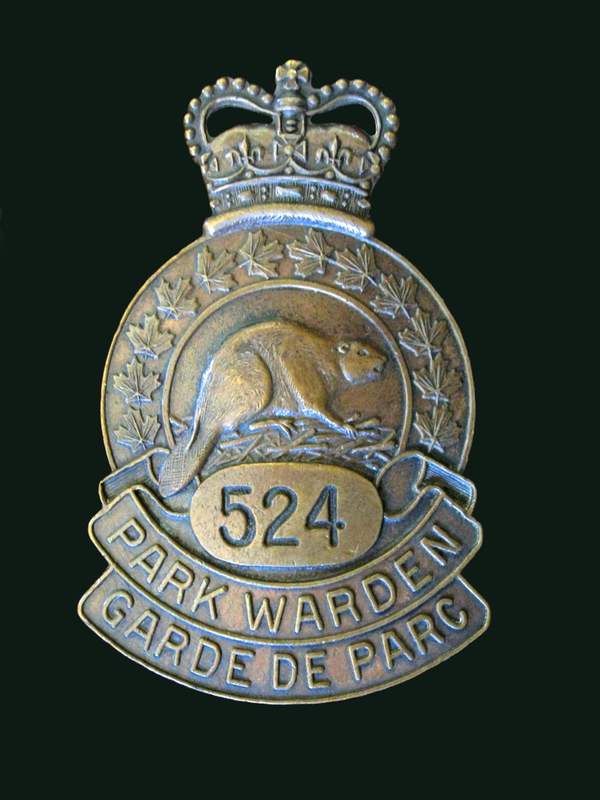 I will recommend your book to anyone who wants to understand the life of a warden, the history of the park, and the need for continued conservation.” — Canadian Parks and Wilderness Society (CPAWS). “The book is very readable, a real page-turner if you like the outdoors and are concerned about the future of wildlife and the environment in general….Kaye’s stories are engrossing, if not terrifying at times – the backcountry is still quite wild, though some species populations are greatly diminished. Importantly, the book is a plea for greater protection of our mountain spaces and species….Please, read this book and pass it on….” — The Canadian Society of Environmental Biologists. 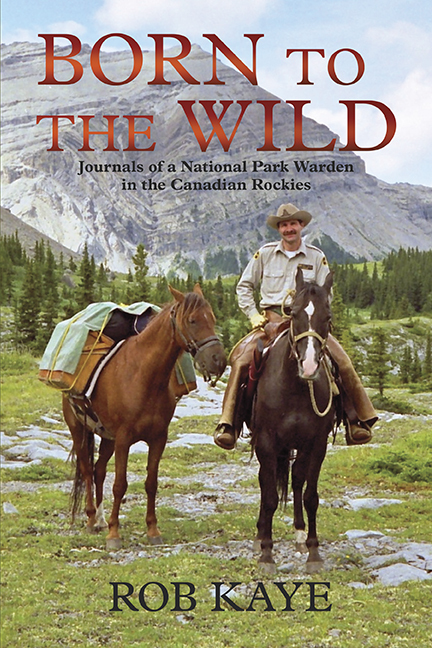 “The romantic image of a national park warden, sitting high astride a steed while exploring the untamed backcountry for months on end with the purpose of studying and protecting our natural environment has all but disappeared from modern times….The author paints vivid pictures of the majestic beauty of the deep wilds that humans scarcely experience.” — Bow Valley Crag & Canyon. “Throughout his memoir….Kaye uses humour and vivid descriptions of his picturesque environment to recount the fun, risk, and humility of his work protecting the vast, mountainous wilderness. While reading, adventurers will find themselves recalling their own moments of peace in the natural world, while those who have never ventured far form the city will still imagine themselves there. If the book doesn’t inspire you to answer the call of the wild, it may inspire you to protect it.” — Canadian Cowboy.